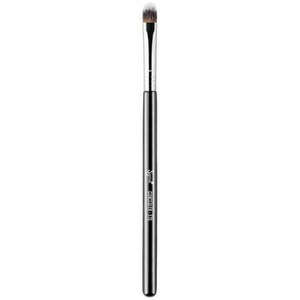 Achieve flawless makeup looks with the Sigma F60 Foundation Brush. Hand crafted from lightweight, sustainable wood, the makeup brush features a flat, slightly tapered brush head; perfect for applying foundations, BB creams and tinted moisturizers. Its firm, synthetic SigmaTech™ bristles are hypoallergenic and feature high performance filaments developed to pick up and deliver cream and liquid products without any absorption. It will even maintain its original shape and color after multiple washes. The flat foundation brush works great when applying creams and liquids to the face, including primers and moisturizers. - K.N.